Cody and her boyfriend, James, and thousands of other kids across the country were pioneers. They are the first babies born with the benefits of genetic engineering. They are part of a sanctioned pilot program run by the National Institutes of Health, which agreed to study this new technology by granting permission to a small segment of the population. One percent, to be exact. The Ones. Now, she and the rest of The Ones are excelling. They are healthy, beautiful, and talented. They aren’t otherworldly, just perfect. And to some, that’s not fair. So a grassroots organization called the Equality Movement has take hold of the country with the goal of ensuring fair and equal rights for all. But Cody knows what they really want is to persecute The Ones. If you think that the premise of The Ones is awesome, you would be correct. However, if you think The Ones is an awesome book, you would be incorrect. While the premise is phenomenal the execution is lacking. This book has hardly any dialogue. There are pages upon pages of internal dialogue. The story flips back and forth between Cody and James, which is done with ease, however nothing actually happens. They both just think about stuff to death, not really but you get the point. The concepts / ideas in this book are super interesting, which is what kept me reading it. However, it was presented in the most boring possible way, which is why I struggled with it. 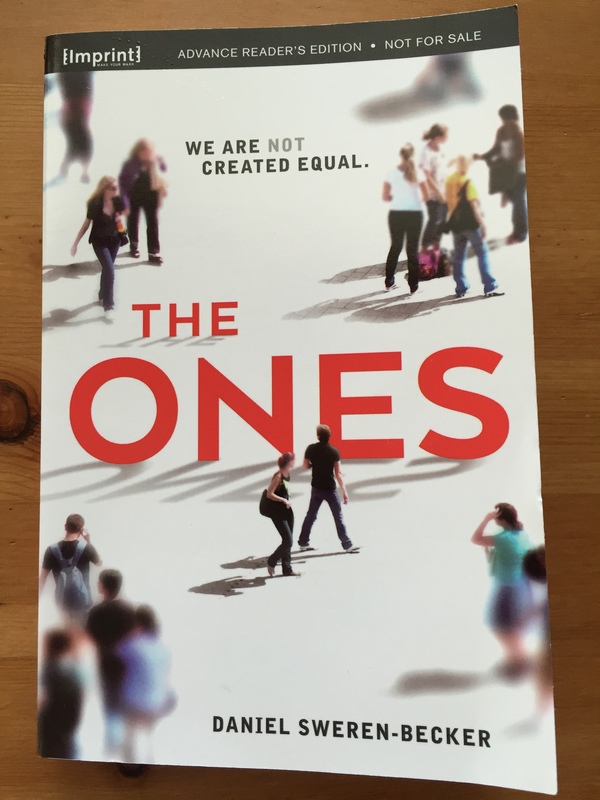 The Ones by Daniel Sweren-Becker comes out September 6, 2016. This entry was posted in Dystopian, Young Adult and tagged Daniel Sweren-Becker, Dystopia, dystopian, dystopian future, The Ones, Young Adult. Bookmark the permalink.